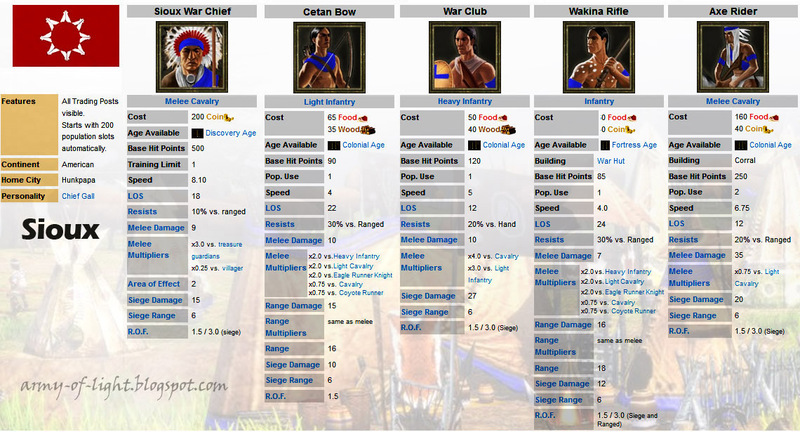 This is a complete unit list statistic for the Sioux civilization. The Sioux is one of the three new civilization in Age of Empire 3 - The Warchiefs Expansion. The Sioux is considered weakest tribe along with their rival : the Aztec and the Iroquois. However, experience Age of Empire III player will find it challenging. 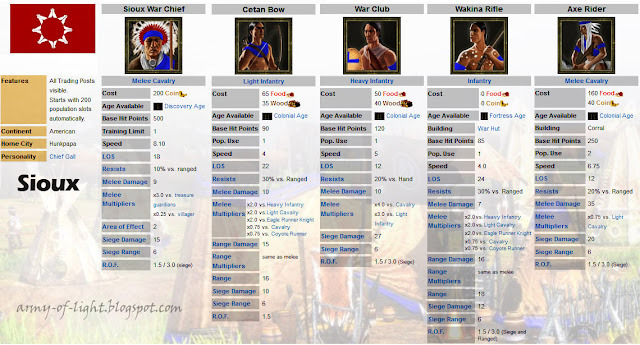 The Sioux have strong point actually, they start with 200 population which make the player completely doesn't need to build any houses. Their Sioux Warchief also have high speed and can spawn the map faster to collect treasures. Their military units are the weakest but it can be trained faster and cheaper. Their four elite units are all cavalry, so you will need to invest a tech / card that focus on cavalry attack and defence. The Sioux is designed to rush everybody.